In a typical gathering of friends and family, 34-year-old Indian expat Anshu Varghese always gets hit with the inevitable question of when she will find her ‘better half’. When she replies she’s happily single, the tirade of accusations follow a pattern which Anshu is all too familiar with now. But Anshu has steeled herself enough to face such probing questions because she firmly believes that she is very content in the space she is in. ‘I love my independence and am yet to find a convincing reason to let go of it,’ says this HR officer, working in Dubai. 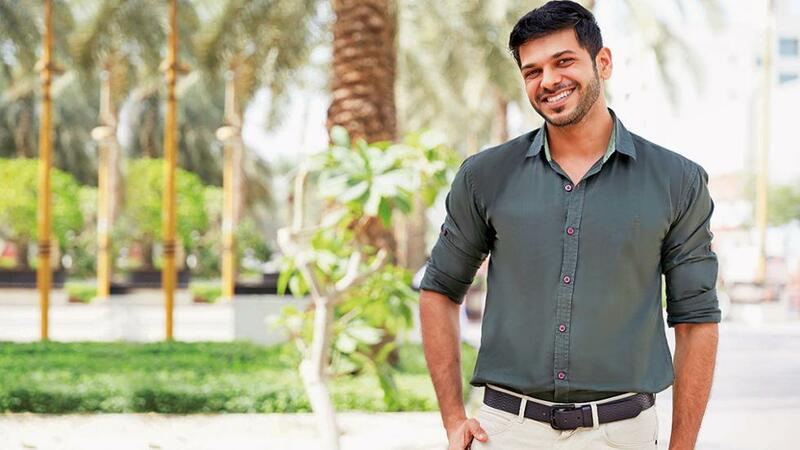 Dr Chetan Kumar Patil, 32, a general practitioner based in Dubai, has also vowed to be single for life. He asserts that he cannot live happily if he has to be accountable or answerable to anyone. ‘I always felt that singles seemed happier than married couples who fight, squabble, take it out on their children and drag them through messy divorces,’ he says. The reasons people like Anshu and Dr Chetan prefer to remain single all their life could be several. Says Anshu: ‘There is a stark difference in being single by choice and not finding a suitable partner. If you decide to be single, you will not feel you are missing out on anything like love, commitment and fulfillment. But if you have ‘given in’ to the idea that you will possibly never get married because you cannot find the right person, then there will always be regret and melancholy in your life. ‘Over the years, I’ve seen a lot of marriages fail; partners who cheat; people who are unhappy in their marriage; and people who believe they are in a happy marriage but are visibly in denial. All these convinced me this is not how I want my future to look like. [I did not want to] hold on to something so fragile and ambiguous like marriage just for the sake of social or cultural pressure,’ she says. A recent US census report states that more than 45 per cent of the American adult population are single. The stats in England Wales are not very different — some 16 million people are reportedly ‘single and have never cohabited or married’, that’s equivalent to more than 34 per cent of the adult population. As the number of singles continues to surge, social pressure and stigma shadow their lives, according to a study conducted in the West. Unwanted spotlights are often shone on them during events like social gatherings and weddings because of their age and marital status. Friends and family members scrutinise them, show worry or sympathy, assuming their single status is miserable and forced upon, says the survey indicating that contrary to popular perception, eastern societies are not the only ones that place undue pressure on singles. So, is there something bad about being single? It depends on who you ask. 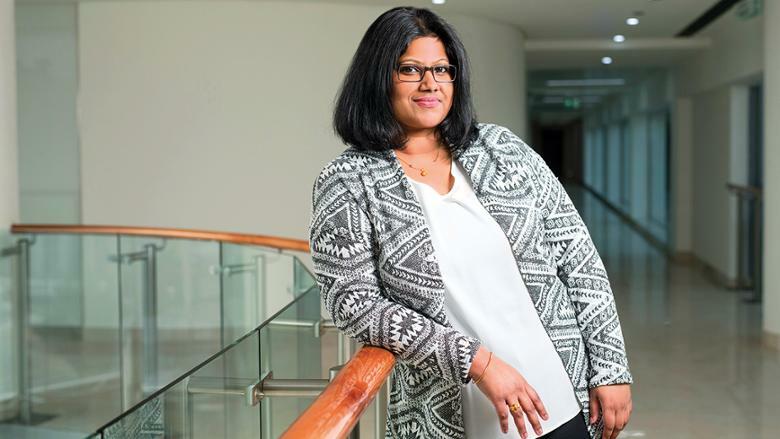 ‘Most societal norms view single people as chronically lonely, depressed, and ultimately bereft of a chance for happiness and security; the people who opt willingly for this choice state they couldn’t be happier,’ says Rekha, a 39-year-old happily single woman in Abu Dhabi. Most singles vouch for the fact that in order to live a satisfying life, both financially and mentally, it is not necessary to be in a relationship, let alone marry. The institution of marriage, the concept of two biological parents to raise children and ideas like commitment and contentment are not convincing enough for them to take the leap of matrimonial bliss. For women like Anshu, being single gives them the freedom to spend ample time with family and friends, pursue careers and be the queen of her own domain. She admits that her family was initially shocked at her decision to remain single, but she says they understand and respect it now. ‘There are times when they draw me a bleak picture of how my future would end up being. But then they also realise that marriage is not something that can be forced upon,’ says Anshu. Coming from an extremely conservative family, the biggest reprove Dr Chetan had to deal with came from his own mother. ‘She gets melodramatic and says what sins has she done to not deserve a grandchild,’ he says, with a laugh, quickly adding that he is planning on having ‘a biological child of my own someday. I do not have to get married for that’. Dr Chetan’s cheerful nature and optimism could have some strong basis. 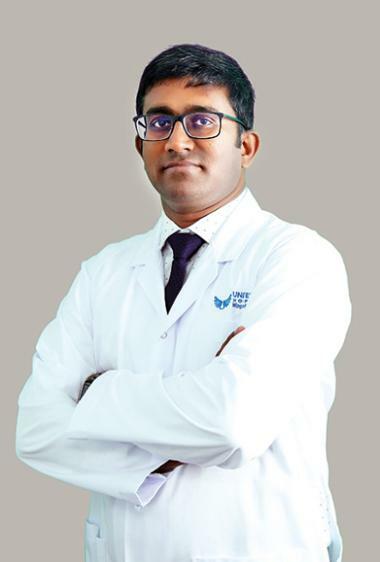 In his nine years of experience in psychiatry and psychology, Dr Firoz Kazungil, specialist psychiatrist at Universal Hospital, Abu Dhabi, says he has observed that 10 per cent of patients over 35-years-old attending psychiatric treatment are voluntarily single. They tend to have more educational qualifications and are better employed than their married counterparts. According to him, single people aged 35-45 are more optimistic and self-determined. ‘They are more workaholics and are perfectionists by nature, which may be the reason they continue to be single, because it will be difficult for them to adjust with a marital partner. They socialise with married friends and their families without any inhibitions. They often own the decision of being single and are not inhibited or afraid of exhibiting it,’ he says. However, a few women he has counselled have reported emotional trauma during adolescence and parental disharmony as reasons for being single. They also seem to exhibit more social phobia. Mariam Abdullah (name changed) is one of them. At the tender age of 9, she made a life-affirming decision never to get married. Growing up with five siblings, she says her mother, the second wife of an affluent businessman, had to suffer a lot because of her husband’s overbearing attitude. ‘He constantly reprimanded my mother over even small issues warning her that he would divorce her at any moment. This was a pretty common scenario those days. Husbands exerted their power over their families and women unwittingly suffered the pain, shame and pressure just to keep the family together. The girls suffered the most as they were being brought with the same regressive mindset that if they stand up for themselves, they would not get a husband. That’s when I decided that no man would rule my life and make me feel miserable,’ says the 37-year-old marketing executive. Perfectly happy with her status, she says she never feels she is lonely. Contrary to popular belief, being single or unmarried doesn’t equal to being unloved or lonely. For Anshu, her sisters are her best friends and her go-to people. ‘My parents are excellent listeners who give me constructive criticism. My brothers-in-law [are very supportive] and I know there are a few good friends who will be with me whenever I need them,’ she says. However, there are a few friends who are not supportive of the idea and always probe her with ‘When are you giving us the good news of your marriage’. Taking it all in her stride, she is prompt to reply, ‘My knight in shining armour probably has an old and outdated GPS’. The fiercely independent streaks in the singles we spoke to make them take celebrations like Valentine’s Day with a pinch of salt. ‘I think people need excuses to get a break from their mundane life and all this self-anointed days are just an excuse to escape reality. If you really love somebody, why do you need a “day’’ to express your feelings?’ asks Dr Chetan. Another common stigma singles face is that they are broken, incomplete beings who need a relationship to be whole, and that they are failures for not having someone to be with. ‘The most stressful issue for single adults is accusations from colleagues and family members regarding their sexual orientation. But compared to married patients, single women and men are more communicative about their emotional issues, sexual problems and relationships,’ says Dr Firoz. Advice, very often unsolicited, is another issue that singles have to face on an almost daily basis. ‘Since advice is free, everyone pitches in their opinion about your life choices,’ jokes Dr Chetan. ‘The top concerns are ‘who will take care of you in old age’, ‘what will you do with your property after you are dead’, ‘for whom are you earning the money’ and so on. But I counter the argument with how many of them are taking care of their parents in their old age. And then everybody goes quiet,’ says Dr Chetan. Mariam agrees. ‘Social pressures are common. I am a strong woman and I ignore or give a deaf ear to people. My upbringing does not allow me to tell them to shut up; so I smile and move on,’ she says. What the title of being single gives these people is luxury of spending time at their own leisure, without being accountable to any other being. Anshu enjoys going on long drives around UAE and frequents the beach during weekends. At other times, she reads a book or listens to music. As for Dr Chetan, he enjoys travelling, cooking and hitting the gym. ‘Those are things I truly love and which keep me busy during my free time,’ he says. Mariam is focused on her career and keen to carve her niche in a predominantly patriarchal society. ‘Single men and women are aware of the chance of ill-health and feelings of loneliness and dependency when they grow older. Many of them work hard now as they want to be financially independent in their old age,’ says Dr Firroz. All these people ascertain that life is a reflection of the choices you make, and no path, whether married or single, is void of bumpy roads. ‘It is better to be single than in a wrong relationship/marriage as it can ruin your life and someone else’s as well. I am not saying that every marriage is wrong but these days people are not ready to compromise,’ says Dr Chetan. He has chalked out a plan to work until he is 50. ‘I am migrating to Australia in a year. I want to spend my old age in peace in nice countryside in Australia. They have nice retirement towns where every facility needed for old people is available,’ he says. Anshu believes she has made the right choice and whatever the future holds, she will learn to live with as the time comes. ‘I would like to tell the parents of people who want to remain single that they should try understand the feelings of their child. They are not being rebellious, but only being strong and independent; the way you raised them to be,’ she says.